Dance education has always been a cornerstone of Ririe-Woodbury Dance Company’s mission. 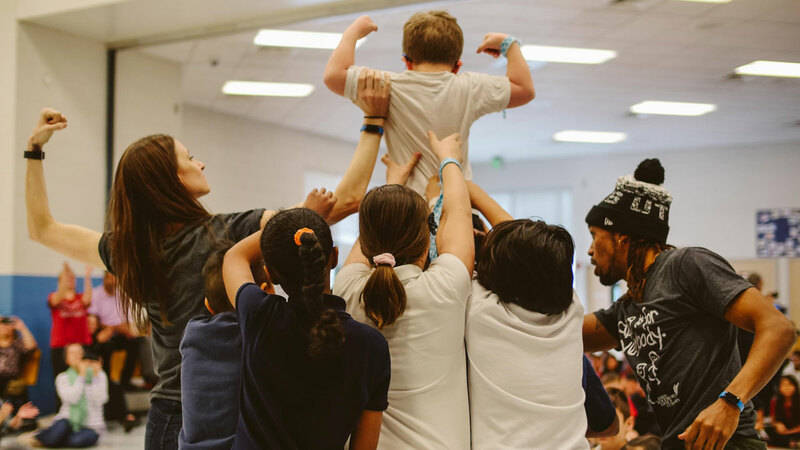 Each year, the Company’s outreach programs enliven over 30,00 students, their families, and teachers with a range of activities including performances, creative movement classes, teacher in-service training, parent-child workshops, and performance demonstrations (assemblies in schools). Ririe-Woodbury believes that dance is not only an art form, but also a powerful way to educate young children about themselves and the world that surrounds them, while also developing different sets of life skills. We develop our educational programming with the understanding that creative dance can help the students develop physically, intellectually, emotionally, aesthetically, and socially in a safe and fun environment. Respect for others - communication, collaboration, an opportunity to explore authentic and unique voices, while learning about the diversity of expressions in the world.